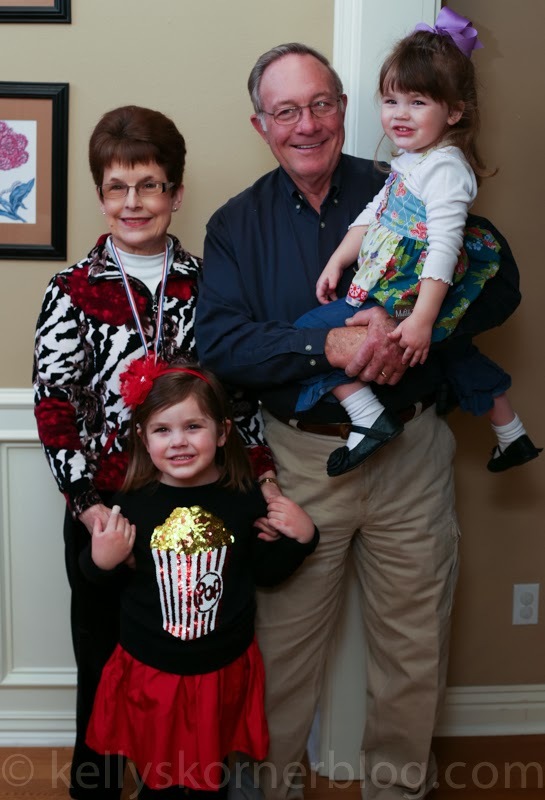 Scott's parents are here staying with us this weekend to help us celebrate Harper's birthday party! This morning we went to Cabela's. 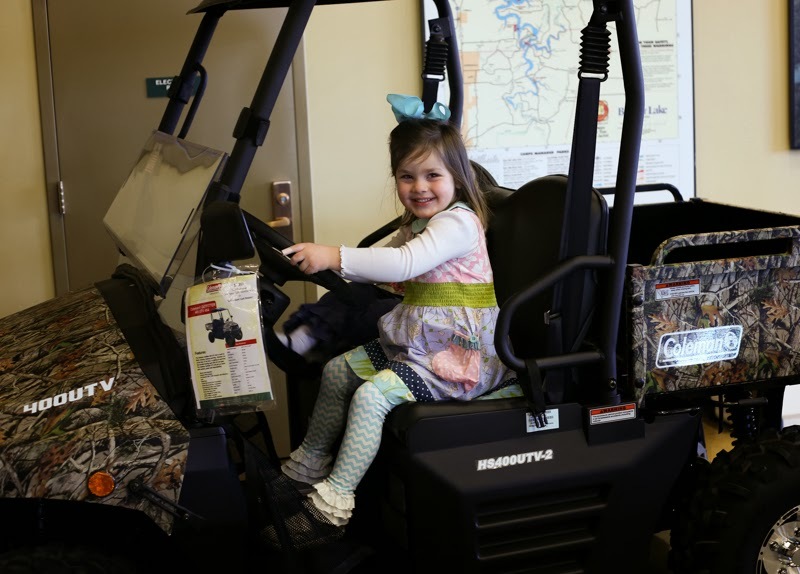 Every little girl in ruffled leggings needs a camo mule to drive around. I have anxiously waited for Chuy's to open in our town for over a year. It did last week and we decided to go extra early to fight the huge crowds and eat lunch there. It did NOT disappoint. It was soooo good. 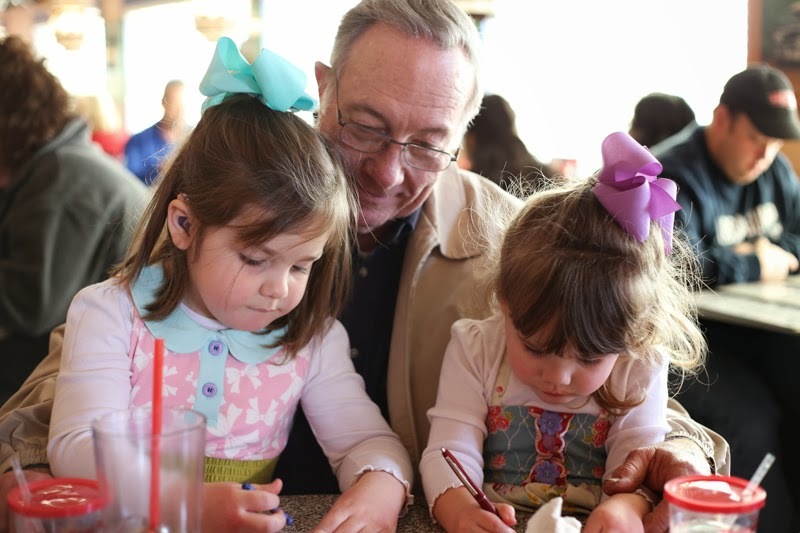 The girls loved just getting time with their grandparents. 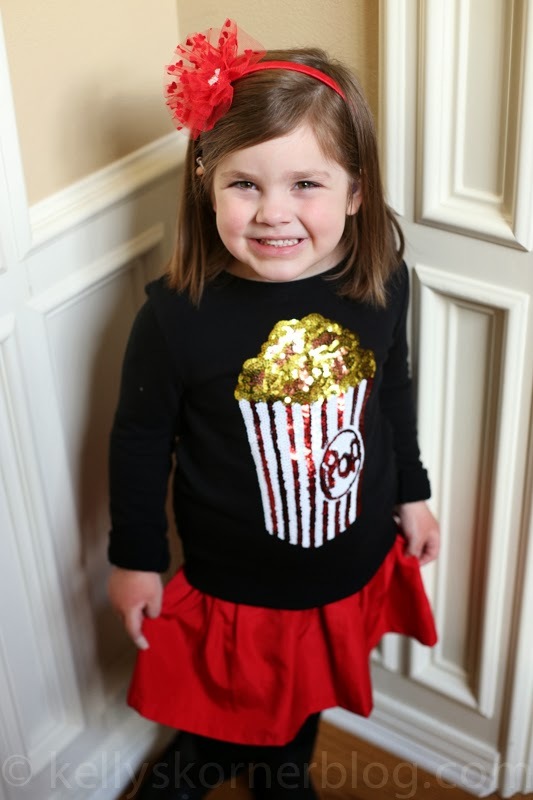 I seriously blinked and she turned five. I put so much thought into her first birthday party. That seems like it was literally yesterday. 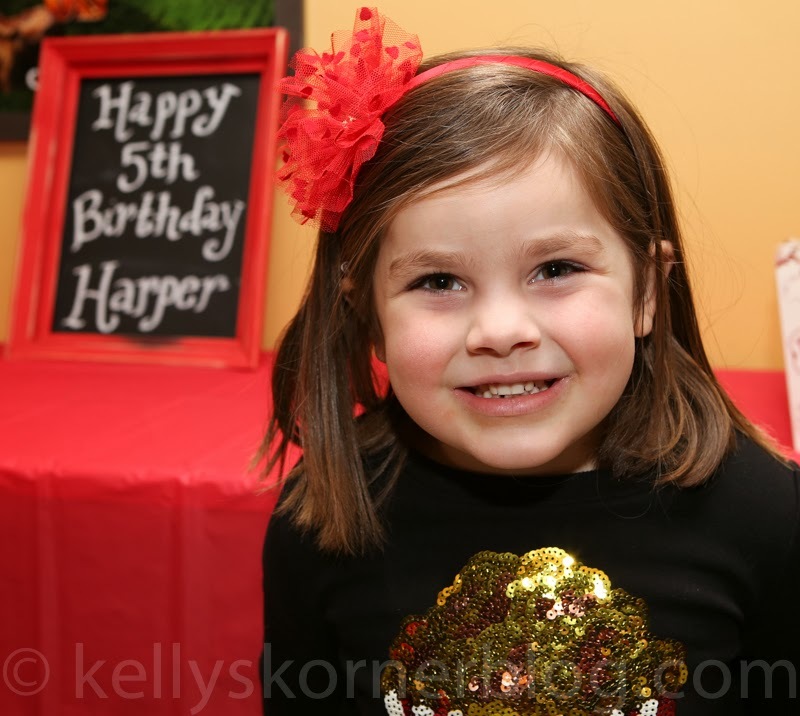 Harper is obsessed with birthday parties. She has been talking about hers for months. 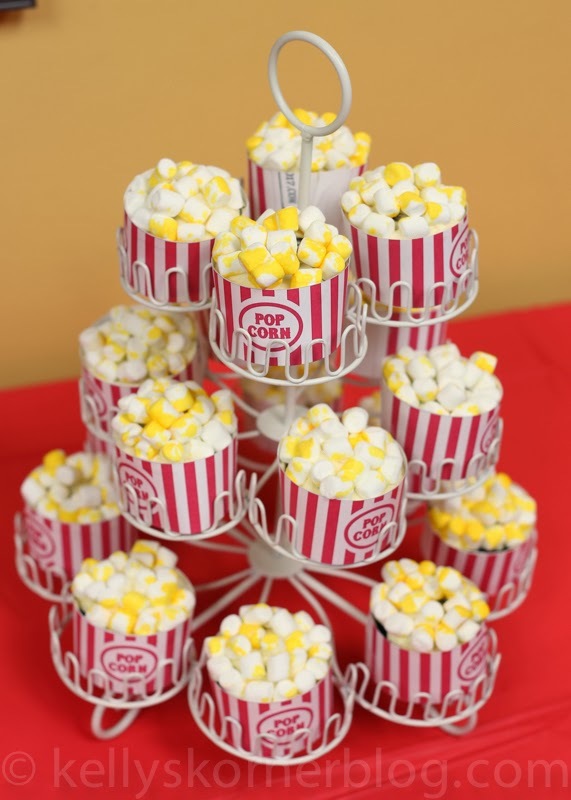 She LOVES going to the movies so I thought it would be fun to have a movie birthday party. I found out you can rent a party room and they reserve you seats at the movie you pick and you get popcorn, pizza and drinks. 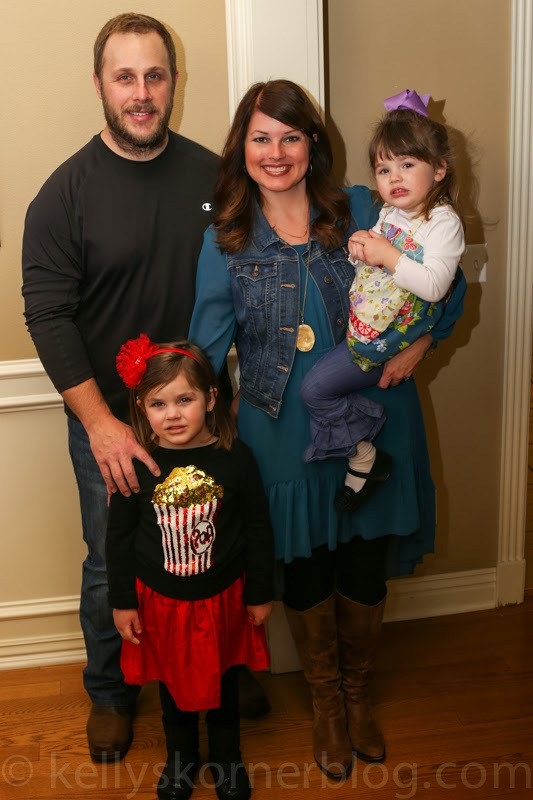 It was really a lot cheaper than any party we have ever had and Harper was THRILLED! 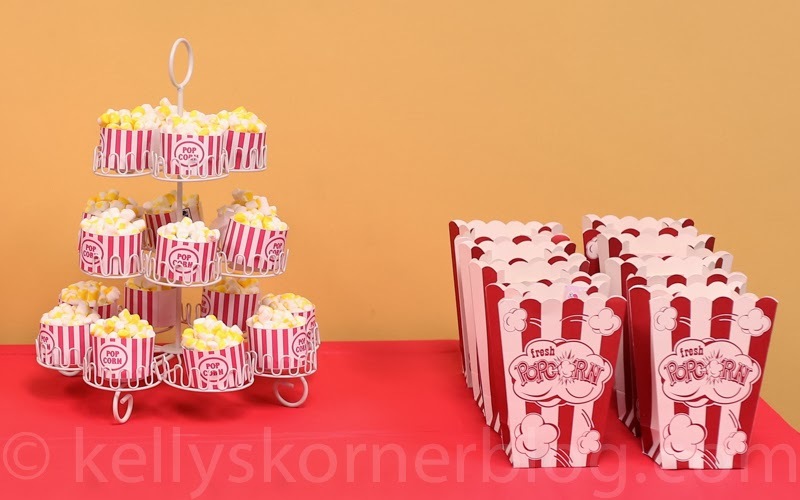 And I got the little popcorn bags and put favors in them for the girls. That was it for any work I did. But I thought it turned out cute. Simple and fun. This was the first year that Harper got to decide who she wanted at her party (before this I just asked my friends kids). She picked just a few friends and thankfully most of them could come. We missed a few of her best friends because they were sick or out of town. These are all such sweet girls. We saw "The Nut Job" and they all did great. I hope they had a great time - I know Harper did! 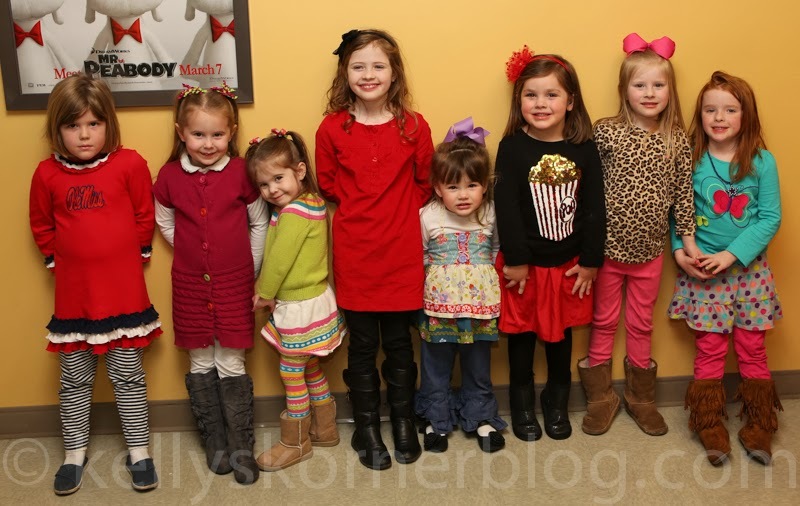 This is Harper at her birthday party every year - from one to five. Older mothers really do know what they are talking about when they say it passes quickly and to enjoy every minute. I rolled my eyes at those women when I was holding a screaming baby who never slept but now I'm that mother looking at mommas with babies in their shopping carts and missing those days. And at the same time smiling because I love exactly where we are at now!